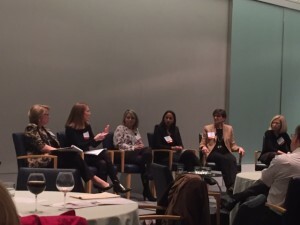 Last night I had the pleasure of once again attending the Women in Technology (WIT) Leadership Awards celebration. This event “honors professional women who have exemplified leadership while promoting the WIT mission of Advancing Women in Technology from the Classroom to the Boardroom.” Maureen Bunyeen, long-time Washington news anchor, was our emcee. Not only to I get to connect with old friends, I leave inspired from the stories of the women finalists and winners. This year the event opened with two special recognitions. First, Kathryn Harris recognized Maureen Caulfield with the WIT President’s Award for commitment and leadership as WIT Sponsorship Chair. Next, The Leadership Foundry, WIT’s board training program, recognized First United Corporation for leading the way in diversity of their corporate board with 33% of their board identifying as women. Then, STEM for Her, a local nonprofit focused on empowering young women to pursue STEM careers, recognized their 2017 cash and experience scholarship winners. 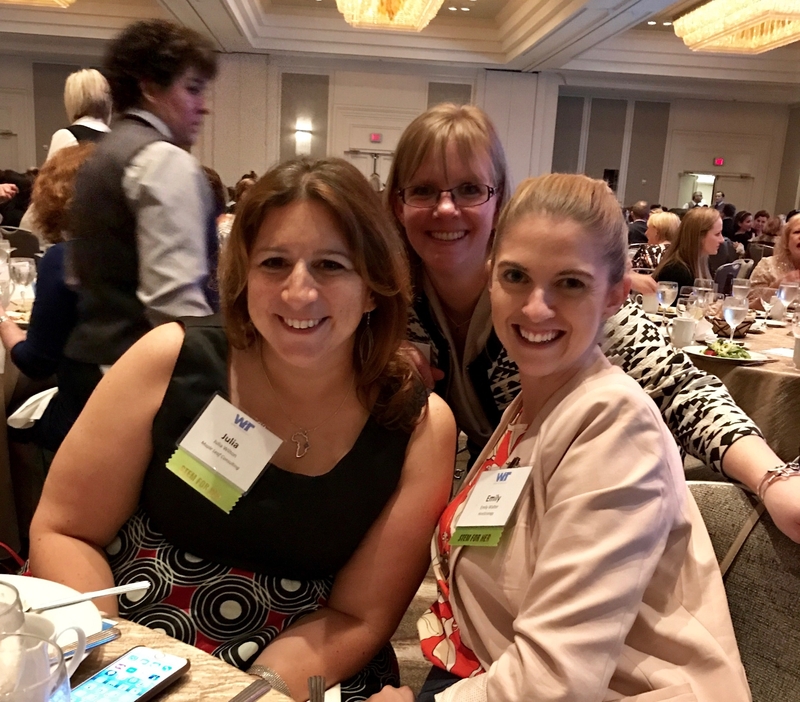 This brought us to our main event, honoring women across nine categories: corporate large-market, corporate mid-market, corporate small-market, government, rising star, small business/entrepreneur, technical leadership, unsung hero and women in defense. Each winner was humbled and inspired to be surrounded by amazing women. This year, winners shared their inspiration by reading quotes from people they admire. We heard about the importance of fathers in setting the path towards STEM related careers as well as having role models to emulate and aspire towards including Walt Disney, Ada Lovelace, Katherine Graham, Katherine Johnson, and Grace Hopper to name just a few. Congratulations to all the winners! And thank you for raising the bar high! 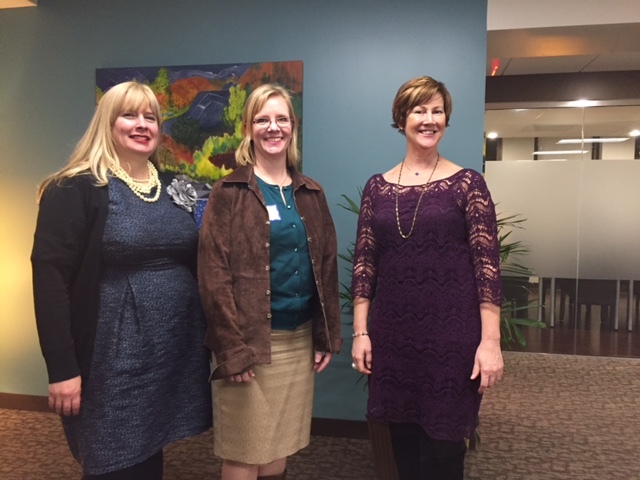 Last night I had the pleasure of joining Jennifer Key from Chief and Heather Cox from Mighty Little Web Shop at the DC Web Women Speaker Series on growing your business. We all came at it from a different perspective, highlighting our unique experiences. I spoke about my experience at different startups and how their growth decisions shaped their conclusions as well as my decisions. Jennifer talked about her personal journey grounded in intention, culture and risk. Heather spoke about the flows and ebbs of business, which ultimately led her to focus on a very specific niche. I consider myself an entrepreneur, but Digital Ambit is really my first business. I guess I’ve been closer to a entrepreneur groupie, or maybe just entrepreneurial employee. I’ve had several opportunities to come into businesses early on and help them grow. Some took VC funding, and other self-funded. Some suffered their demise by way of the exuberant spending of the dotcom bubble. While others sold for a hefty profit or pivoted and continued on as a smaller, boutique offering. Jennifer opened her talk by mentioning that she can’t tell others how to grow their businesses as she doesn’t know them or their businesses. However, she can outline the drivers of her growth, which contributed to the growth of the businesses she’s been involved with. There are 3 critical components she comes back to when evaluating opportunities: intention, culture and risk. Every day, Jennifer starts her day by setting her intention. While these days these are focused on gratitude and kindness, they do fluctuate. By setting your intention, you ground your decisions. Business culture is what drives employees and founders to do what they do every day. Businesses need to decide what their culture will be, and as they grow will need to figure out how to sustain that culture. Sometimes the culture isn’t sustainable, and that’s ok. Although a loss or change in culture may shift employees away. Lastly, business (or personal) growth is about risk. Jennifer herself is risk adverse, but she surrounds herself with mentors and friends who encourage her to take calculated risks. Heather wants to be a rockstar when she grows up, singing her songs and playing the guitar. In the meantime, she’s focused her business on a niche market and learning what she needs to in order to grow her business. For a long time, Heather didn’t have to market her business. The leads just flowed in. She started this business to engage her dream of building websites and developing marketing strategy for her customers. She opted for packaged pricing so she’d never have to write another proposal. She also participated in some extensive marketing and accelerator programs to learn what she needed to know. Heather is quick to admit she sticks to the basics of understanding her numbers, but has clear size, revenue and margin goals she focuses on every day. Overall, i saw some clear themes in our stories. Optimism – Although I wouldn’t consider myself very optimistic, I do have confidence that I can learn and conquer anything I want. “They aren’t problems, they’re possibilities” and “there are no obstacles, but rather opportunities” were a few of the catch phrases of the evening. They definitely highlight the optimistic nature of being an entrepreneur. Some days are scary, but you need to fundamentally believe you can reach your goals. Mentorship -We all talked about people we worked with that gave us their time and expertise when you need it. Jennifer reminded us to that we need to value our mentors time and make sure to set an agenda so you can work on what you need. There are formal and non-formal mentoring programs, but any opportunity for networking is an opportunity to find one. Culture – Heather has really molded her business around the things she likes to do, removing or outsourcing the things she doesn’t. That will make for a very deliberate culture. Chief is known for community engagement and built that into their office space. They have a space dedicated for entertaining and host numerous meetup and other groups on a regular basis. I’m building this business with my husband to drive the culture and lifestyle we want. The choices we make in our business will all come back to why we started it and what we want. Know your numbers – It’s imperative to understand what’s going on in your business. Without that how do you know if or when you can hire? How do know what’s success? or slow down? You don’t need to be the accountant, but you do need to keep an eye on your critical metrics. Identify a few critical ones that tie to your goals and watch them closely. As you may know, I believe many corporate resourcing & delivery issues stem from not properly prioritizing customers & projects. You can read my recommendations on how to approach those in my prior blog post. Today, I’d like to take a step back and look at prioritization from the onset of customer project introduction. In government contracting, this is called the gate review process. A business faces immense pressure to succeed these days, facing obstacles from all directions. This might be driven from competition, or budget reductions and uncertainty, investor return or simple from cash flow concerns. Amidst all this chaos, the only real thing the business can control is how they behave. It is up to the business to pursue the business, then accept the business and support the business. Ideally all parts of the business are in sync about the choices being made. Unfortunately, that is not always the case. In my experience, most businesses pursue any prospect of business with a vigor and stubbornness, minimizing any negative feedback or concern. Many times this is done by simply not including other parts of the organization in the sales process. These challenges can be overcome by simply asking the right questions (and following through with the outcome regardless of the answer) throughout the process. This process does not need to be too tedious. However, it should be thorough enough to have all pre and post involved departments participate in the conversation, being able to have their concerns heard, acknowledged and if possible, mitigated. Three simple questions you can ask during this process are: Can we do it?, Can we win it? and Can we make money? Do you have the resources? Can you get them in time? Do you have the applicable skills? Can you identify and mitigate the risks? What is your existing relationship with the customer? What is the customer’s budget? What is the contract type? Where does the risk lie? Where do your competitors end up with price? Can you mitigate the financial risk? Are their efficiencies you can gain? It is at the intersection of “yes” to all three of these questions where the optimal place exists for your business to pursue new customers or projects. It becomes a slippery slope when only two questions result in “yes.” You may strategically choose to pursue business when you have two out of three, but these come with very severe risks. Wasted resources and degradation in customer success are two potential outcomes. Prioritization is critical to business success. Having checkpoints at multiple stages throughout the sales & pipeline, customer success and PMO processes significantly improve your ability to work on the right projects for your customers. It also helps your ability to delivery and make money from your initiatives. I want to thank David Stearman for his presentation on Gate Review Decision Making at the Association of Proposal Management Professionals-National Capital Area (APMP-NCA) Mid-Atlantic Conference last week. This blog post is a compilation of my notes and thoughts regarding project discovery & decision to move forward. Be a resource, not a commodity! I had the chance to see David Belden (founder of ExecuVision International) deliver his keynote at yesterday’s Association of Proposal Management Professionals-National Capital Area (APMP-NCA) Mid-Atlantic Conference. The topic of the keynote was “Relieving Anxiety in the Procurement Landscape.” At face value this didn’t sound particularly interesting, but just a few short minutes into the presentation I found myself taking my notebook out to starting taking notes. The key take away for me had less to do with anxiety and more about positioning ourselves to be resources, or risk being reduced to commodity status. We all know that selling on price is not the ideal position. We also know that the pace of business has significantly increased. Unfortunately, only these two things matter when you are a commodity. I think we also know, at least conceptually, that adding value to your customers is how you differentiate yourself. Often we attempt to add value by sharing our methods and solutions for free. While these points are not new concepts, Mr. Belden really drove home the idea that every product or service is on the path to commoditization. He further concluded that our inherent reaction to differentiate ourselves results in becoming the commodity we feared we would become. Customers begin to know, or think they know, enough to comparison shop your solution. These are sobering thoughts as we work to grow our consulting company. As for the preventative strategy, Mr. Belden challenged us to listen closely to our clients and prospects, with special attention paid towards their anxiety. Embracing your client’s anxiety allows you to become a valuable resource to them and can open up other areas of opportunity for you. I went to my first Drupal conference Drupal GovCon, last week. I have been to other conferences, primarily on the vendor side, but this was the first one I went solely as an attendee. Carson (my husband) is an expert in content management systems and has been working with Drupal for quite a while. I have never worked with it, but since we are highlighting it as a core competency of Digital Ambit I thought it was time to get some more exposure. I had 3 goals for the conference: give back to the Drupal community; make some of my own contacts in the Drupal community; and expand my technical knowledge of Drupal. Unfortunately, I got called to an on-sight client meeting on the first day of Drupal GovCon. I was disappointed to miss Angie Byron‘s (webchick), keynote on Drupal 8. Not only is she iconic in the Drupal community, I’m sure it would have done a bit to lessen the knowledge gap. I had also hoped to catch Forum One’s Drupal 8 for non-developers. That didn’t work out either. It’s a good thing all the sessions were recorded so I can catch up on everything I missed. I did make it to the opening reception. I met some nice folks from 4Site Studios and reconnected with Sleight-of-Hand Studios. We had some pleasant conversations about the highlights I missed as well as discussing our respective businesses. Day 2 and 3 started early for me with my volunteer stints at the registration desk. Due to the venue, this was a free event. This resulted in quite a few no-shows, late additions and tickets transfers. There were hiccups, as there are always are, but we worked through them. I met some really passionate organizers who put on a really good event. The day 2 keynote was a general discussion on open source, including advocates of civiCRM and joomla. The day 3 keynote showcased how Drupal was being used for the NIH 3D print exchange. I did end up making it some sessions, but primarily stayed to the business track. I may have done this because this is the track I feel most comfortable. In retrospect, I probably should have gone to a few more of the technical Drupal ones. Each session was identified as beginner, intermediate or advanced. I had some initial concerns that some of the more technical Drupal sessions were going to be beyond my expertise (having never touched Drupal before). 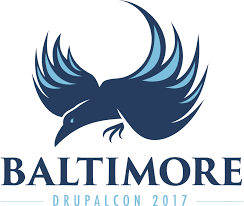 When Carson asked me to attend the intermediate Drupal site auditing session, I found out that those descriptors had more to do with general technology familiarity rather than Drupal itself. With the exception of a few specific Drupal modules, I followed the presentation. Ultimately, I view the entire experience as a positive one. I learned a few things too. 1) Be confident in my general technical knowledge – As I approach new technologies, I need to remember that I have ~20 years of experience working in and around technology. While I haven’t had my hands in every new software that’s been introduced, I can have the technical knowledge and skills to be able to understand the framework’s and follow the discussion. While I’m not ready to spin up my first Drupal site yet, I feel comfortable that I could figure it out if I needed to and most definitely could manage a Drupal implementation or migration. 2) Participating in after hours networking is critical – When you attend conferences as a vendor, or simply as an attendee, you have an agenda. There is some list of goals you are trying to fulfill. It may be education, or it may be finding employee candidates or business partners. Regardless, you have limited time to really get to know people during the day. The after hours networking is where you have that extra time to ask more questions, and find more common ground. Having been on the vendor side, I know how much work it is to host those events. Please know that they are worth it and all the attendees appreciate it. 3) Open source is more than the technology, it’s the community – Carson learned this lesson at Drupalcon LA. It was the first time he attended Drupalcon on the side of the business (versus as a developer) and he was really blown away by how open the business leaders were about sharing their processes and KPIs. It’s one thing to hear about it, but it’s another to experience it. NIH provided the venue, but required the event be free. Lots of people gave a lot of time to organize Drupal GovCon. And even more shared their time and expertise to host sessions or run all-day trainings. 4) DC has women in tech – For all that I’ve shared about women in tech, I was really excited to see how many turned out to represent at Drupal GovCon. I believe that there were definitely more than the industry average of ~22% in attendance. Maybe it was the “free” component, but I don’t think so as I have been at other free tech events and not seen the same turn out. Or maybe, it was just that this was an awesome event and they had to be a part of it. Whatever it was, I was happy to see it and be a part of it.